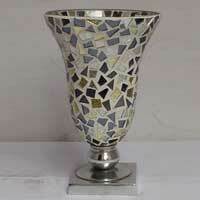 Decorate your homes with a premium range of Flower Vases provided by us. We are reckoned as a prime Manufacturer, Exporter, and Supplier of a designer range of Flower Vases in national as well as international markets. 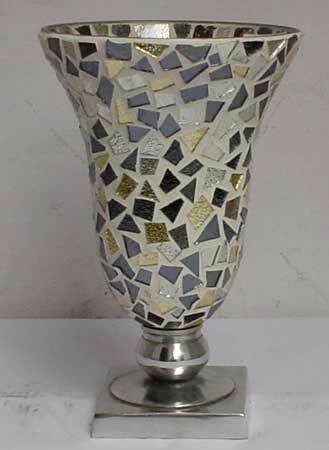 The assortment of Flower Vases presented by us includes Iron Flower Vase and Mosaic Glass Flower Vase. These Flower Vases are manufactured from high-grade raw materials, to ensure optimum quality and longer life. 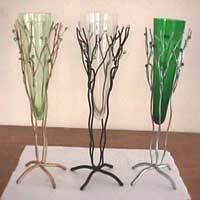 Our elegantly designed range of Flower Vases is available in diverse colors and sizes, as per the clientâ��s requirements.